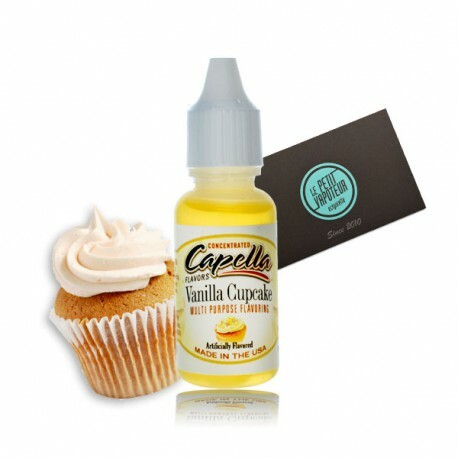 Sweet Vanilla Cupcake aroma by Capella Flavors Drops. The original taste of a cupcake topped off with vanilla! "Super arome pour arrondir le goût en association avec un arome tabac."